This live cast brings the music to life at a time when the appreciation of Pink Floyd has never been greater! In 1979, Pink Floyd released their grand opus, “The Wall”- an amazing double album that dissects the inner struggles of the character Pink. Over the following four decades these songs, and their stunning imagery have shaped and defined countless works, spoken to generations, and have served as the soundtrack to many of our lives. For the 40th anniversary of that landmark album, Pink Droyd will be performing The Wall Live, complete and uncut. This audio/visual experience is one to be seen and to be part of. Experience the characters, the Wall, the Trial…and much more, with the whole family!! Don’t miss your chance to experience Pink Floyd’s “The Wall” – In The Flesh!! 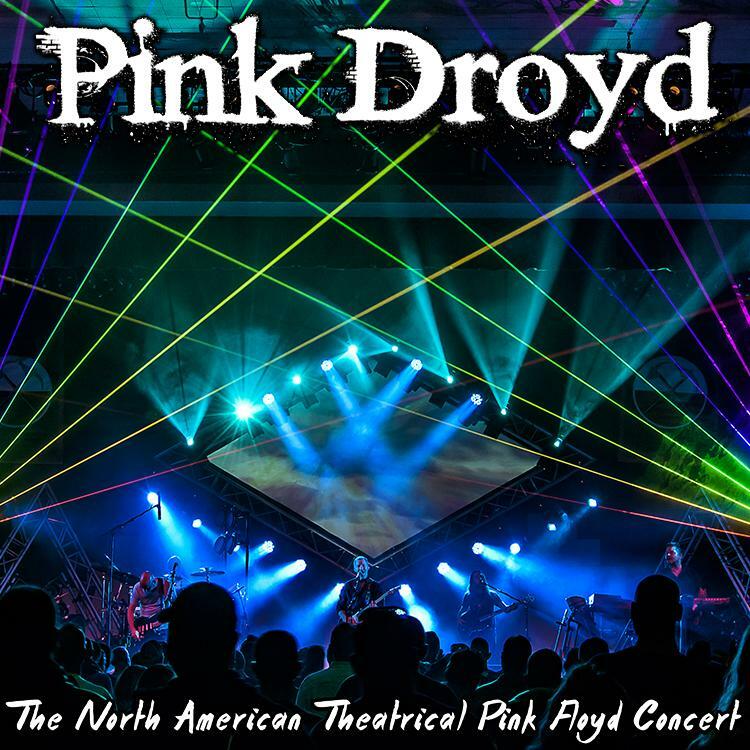 Pink Droyd brings to life the music of Pink Floyd by including theatrical performances of some of Pink Floyd’s most memorable songs. From building The Wall to visiting The Dark Side of the MoonPink Droyd spans the Pink Floyd catalog including the most memorable hits and some beloved obscure tracks. With a combined Pink Floyd tribute band experience of over 50 years this all-star cast brings the music and experience of Pink Floyd to audiences at a time when the appreciation of Pink Floyd has never been greater!